Our screening services are federal standard compliant and clinically sound. Health tests are professionally reviewed by our physicians or consulting audiologists, as applicable, giving your employees reliable recommendations. Our prices are competitive and our testing accurate and reproducible. Why go anywhere else? Same Day DOT Physicals Drug & Alcohol Testing will come to your facility with our state-of-the-art Microprocessor Audiometers. With no extra on-site setup fee, we can take care of your OSHA-required hearing-conservation training and test 8-10 people at a time every hour. All tests are conducted using the top-of-the-line Microprocessor Audiometers. Our calibrated sound-level meter assures that ambient noise will not interfere with your hearing tests. We can even do retests, make-up tests and work-related reviews if needed. We are happy to schedule any shifts you need tested, any time of day. Audiometric Testing is required by OSHA & MSHA annually to all employees who are exposed to noise levels equal or greater than 85dBA. The fact is, most companies are noisy work environments. 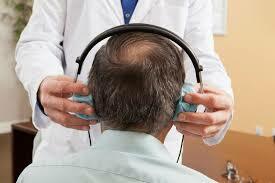 As an employer, you are required to assess your employees’ hearing annually and educate them in hearing conservation. Our team can help you safeguard your employees’ hearing and comply with all OSHA 29 CFR 1910.95 regulations. After setting up our audiometry unit on-site, we will obtain a medical and “noise” history from each employee. At the same time, at your discretion, we will instruct them in hearing conservation techniques as required by law. We will then inspect the ear canals and drums for abnormalities and/or wax obstruction – anything that might decrease their hearing – then perform the 10-minute test. Our audiometer is computer-controlled and exceeds all ANSI S3.6-1989 requirements. Upon completion of all testing, the data is reviewed, adjusted for age (as required), compared against baseline and finalized. All employees with a presumptive STS are identified and reports are returned to your designated representative, usually within 72 hours. Data is provided in PDF form for easy assimilation into your company’s files. In addition, we provide the required employee notification letters at no additional charge, relieving you of that regulatory burden. Because we are local, repeat testing for those with a presumptive STS can be done in our office at the employee’s convenience. We also understand that your employees’ time off the clock affects your bottom line, that’s why – unlike out-of-state companies who tell YOU when they can do your testing, Same Day DOT Physicals Drug & Alcohol Testing is flexible and can schedule according to your schedule. That means your third-shift employees can be tested on third shift, reducing employee disruption and lessening downtime. 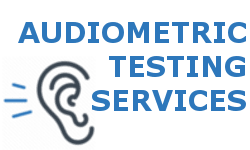 If you would like to find out more about Audiometric Testing or become a client of Same Day DOT Physicals Drug & Alcohol Testing, please contact us using the link below or give us a call today. Dr. Michael J. Tigges Certified DOT Medical Examiner Chiropractic Physician Certification: Dr. Tigges is one of the first in TN to become a certified DOT Medical Examiner of the United States Federal Government. The National Registry of Certified Medical Examiners requires all medical examiners performing physical examinations for interstate commercial motor vehicle drivers to be trained and certified in FMCSA physical qualification standards. Education: Palmer College, School of Chiropractic, D.C. About Dr. Tigges: Dr. Michael J. Tigges is originally from Dubuque, Iowa. He earned his Doctorate Degree from Palmer University School of Chiropractic in Davenport, IA. He has been practicing for more than 25 years. He started his practice in 1988 in Gallatin, TN. He serves his patients who live in surrounding communities in middle TN, or those passing through the area. He is a member of the Tennessee Chiropractic Association. This entry was posted in News, Tips and tagged Audiometric Hearing Test, Hearing Test, OSHA Hearing. Bookmark the permalink.